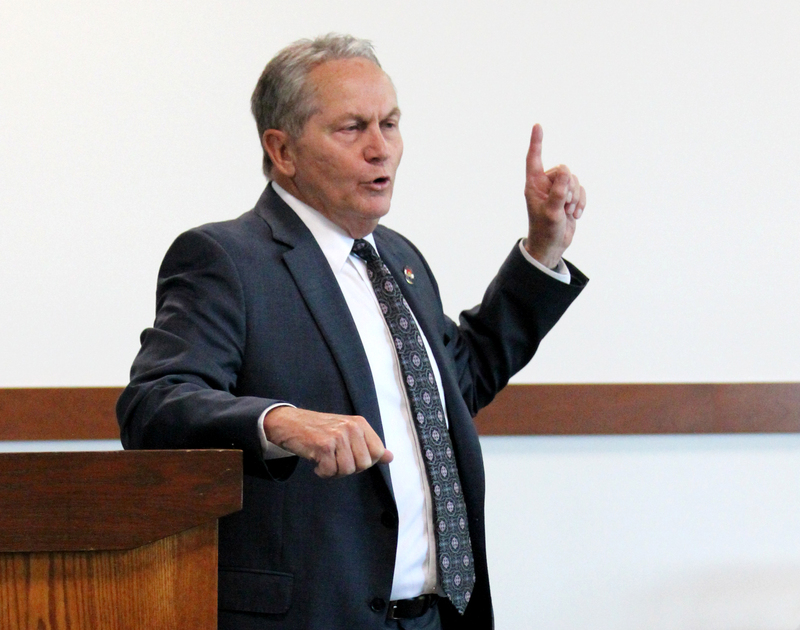 Adams County celebrated the completion of the First Appearance Center, two new courtrooms with jury boxes, and more with a ceremony at the Justice Center at 1100 Judicial Center Drive in Brighton on Friday, July 21. The courtrooms and First Appearance Center are already in use, as are the additions of two hearing rooms, two mediation suites, five judges’ chambers, an office for the Bar Association, an office for the Public Defender’s eligibility staff, and court staff office space. These additions were completed on schedule and under budget at $6 million, with $500,000 coming from the State Judicial Branch and the remainder paid by Adams County. With these additions, the Justice Center is built out at over 300,000 square feet. The addition of the First Appearance Center helps alleviate the stress on the courtrooms and judges, allowing people cited for infractions, misdemeanors, and traffic matters to meet with a deputy district attorney to resolve their cases without the time and expense of going to trial, often within one day. View a short video of the dedication ceremony.